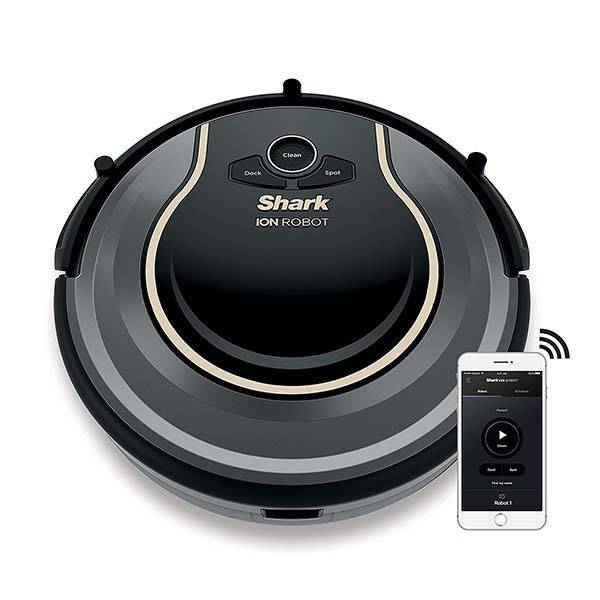 With support for Amazon Alexa and Google Home Shark ION Robot 750 smart robot vacuum cleaner can be controlled by your voice commands. Need more features? Let’s keep checking. The ION Robot 750 is an advanced, app-enabled robot vacuum that measures 12.6 x 12.6 x 2.6 inches and weighs 5.51 pounds. 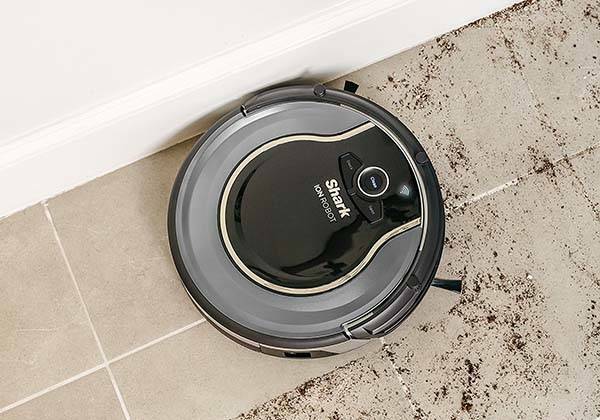 Similar with most robotic vacuum cleaners, the ION Robot 750 has a rounded form factor, and the low-profile and slim design allows it to easily coast below furniture to provide thorough clean throughout your home. The robot vacuum cleaner comes equipped with helix-pattern high-tensile bristles that provide thorough pickup on carpets and hard floors, and dual spinning side brushes are good to pull in debris from edges and corners. Meanwhile, it features a self-cleaning brushroll that captures short and long hair, dust, dander and allergens. Using built-in sensors, the vacuum navigates on the floor and automatically adapts to surrounding obstacles. Moreover, the robot vacuum uses WiFi module to wirelessly join in your home network so that you can remotely control or schedule it via your smartphone. The robot vacuum also works with Amazon Alexa and Google Home, so you can also control it with your voice. In addition, its rechargeable battery offers one hour of cleaning time. It will automatically return to its charging station when needing to recharge. The smart robot vacuum cleaner is priced at $349.99 USD. If you’re interested, jump to Amazon for its more details.